30 days without any new posts? Egads! What would happen if we were to stop posting altogether? That question lead to a somewhat nerve-wracking 30-day publishing experiment. In this episode of the Call to Action podcast, Buffer’s Content Crafter Kevan Lee gives us all the gory details. Just how much traffic Buffer lost during the experiment. The ways Buffer repurposed their blog content, and what brought them the biggest wins. Some good one-liners to feed family and friends when they ask you what you actually do at work all day. 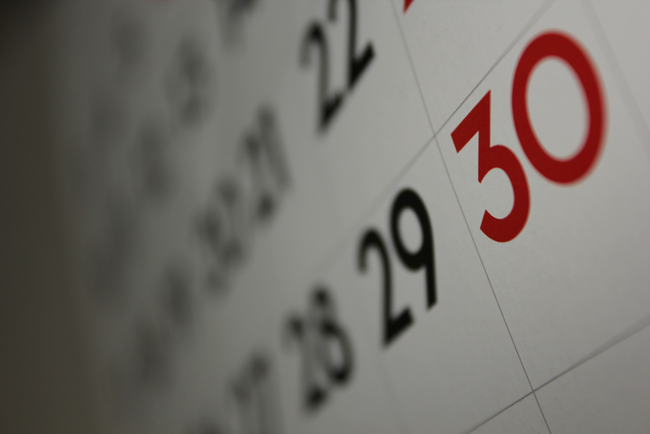 We Stopped Publishing New Blog Posts For One Month. Here’s What Happened by Kevan Lee via Buffer. In this episode: Dan Levy, Unbounce’s Content Strategist, interviews Kevan Lee, Buffer’s Content Crafter. 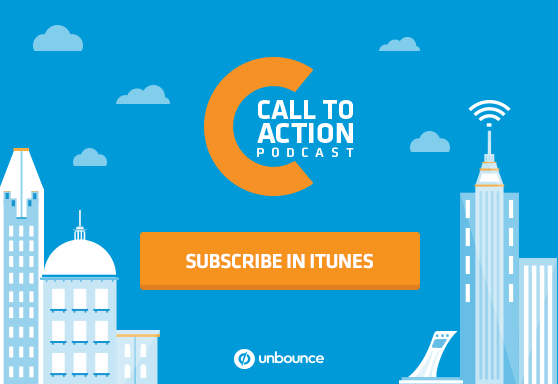 Stephanie Saretsky: Hey everyone, it’s Stephanie Saretsky here from Unbounce and you’re listening to Call to Action, the podcast about creating better marketing experiences. Last week, we talked to Ginny Soskey at Hubspot about their quality vs quantity experiment, which got us thinking… what other things are other marketers testing? Then, we came across a blog post that posed a question we didn’t think anyone would ever dare answer: what if a company decided to stop posting all together? Buffer decided that they were the company for the job, and embarked on a somewhat nerve-wracking 30-day blog publishing experiment. So naturally, we had to get the story out of them. Unbounce’s Content Strategist Dan Levy spoke with Kevan Lee, Content Crafter at Buffer about how a conversation between Kevan and his fellow Content Crafter inspired this daring experiment, and how their findings have changed the way that Buffer views their older content. Plus, you’ll never believe how much traffic Buffer lost to their blog. Dan Levy: So not publishing any new blog post for a month is a really scary-sounding experiment to anyone who runs a popular blog. But before we go into the details, can you tell us a little bit about the story behind it? Where did that idea come from and what were you hoping to get out of it? Kevan Lee: Yeah, I think there’s kind of a funny story just in that… Courtney and I… Courtney is my co-crafter here at Buffer. We often just spew ideas. Sometimes the stuff may start out as a silly idea where we just kinda mention, “I wonder if we could not publish content for a while and be okay with it?” I think it maybe came from a place where we were excited to do lot of other projects and we wanted to kinda challenge the notion of our blog – is it something we need to constantly be doing or is it something that we can kinda think a little bit deeper on and be really mindful of our approach there? And that makes it sound like a much more scientific process than it was. It was mostly just, “This could be cool to try…” and then we kinda reflected on it and let it simmer for a while and then the timing with the summer and our retreat was around the same time. The timing just seems like it fit really well to go for it, so we did. Dan Levy: But I really admire your bravery for feeling it, and for taking the chance. Kevan Lee: Oh, thank you, yeah. Dan Levy: And you reported that after the experiment you only saw a four percent dip in traffic. Was that surprising to you? Kevan Lee: Yeah, that’s a great one. I think throughout the experiment I did not look at numbers at all. And the reason why I did that was because I felt that if I saw numbers, I would be motivated to toss the experiment out the window or just kinda give up on things, even though it was probably a very negative mindset for me to have been in. But I think it was just something where I wanted to be really disciplined about the experiment. So I didn’t look at any stats throughout and when it got to the end I was a bit relieved to see that it was a four percent drop. And there’s probably some seasonality at play also, so it didn’t feel like a significant portion of traffic was really lost. I think in terms of the numbers that we get on the blog, four percent is still a decent chunk of people. So it didn’t feel great to lose any momentum from that side but the goal that we had set was a bigger number – around 10 percent maybe – as a sign that we were definitely not successful in the experiment. So four percent felt pretty good on my end. Dan Levy: I think there’s actually something to that whole “set it and then don’t look at the numbers for a while” thing. We see that with A/B testing a lot – where if you’re watching the numbers too closely, then maybe you’re apt to call a test before it has actually reached any sort of validity. Kevan Lee: It was all about trusting the process for us. I think I had some chats with Courtney throughout where I was like, “Oh, I’m just really tempted to write something!” or even write that I missed writing. Like I guess not writing for 30 days is a very foreign concept for me too. And so I was really grateful for her advice and encouragement throughout the process. And I think process is maybe the word that I kept coming back to throughout – just to trust the process that we had in place and to know that there is a purpose and a reason for the experiment and we’ll learn from that – which is success enough I think in the long run. Dan Levy: And it’s not like you didn’t publish anything at all, right? You didn’t publish any brand new content, but you did breathe some new life into some older content? Kevan Lee: I kinda cheated a little bit by putting some stuff in it that maybe was somewhat original but it was based off of past content that we had refreshed or we had livened up a little bit. So I think we did an article on Slideshares and it was a collection of some Slideshares that I had made during the month and then also just some other ones that had come to mind. So we did about three or four posts a week still. But none of it was brand new, original, big stuff we’ve done in the past. So it felt good to still publish but was still a bit interesting from the nature of the posts that we did publish. Dan Levy: And I think that’s the sort of thing that I know over here as well – we’re always talking about how to breathe new life into older content and republish older content – but the new stuff often gets priority so it’s nice that you gave yourself the time to actually prioritize that stuff. In your post you actually take us through a good amount of detail about all the different strategies that you tried. Can you maybe talk about a few of them? Like the ones that worked the best? Kevan Lee: Definitely, yeah, I think email courses was one that was really great for us. Email courses are kinda like a drip campaign in a lot of ways. So we would take some existing content and turn it into a series of emails and then invite people to sign up and then send them an email a day. So in particular during our month, I created a 25-day email course about social media strategies. And that was based on maybe three or four old blog posts that talked about social media strategies. So I was able to repurpose that content pretty easily in that way which felt really great. In the past we’ve also done courses based on particular blog posts. We had one that was quite successful about a social media marketing plan and that ended up working into a quick seven-day email course. So that was super fun to get to kinda experiment with that to see what we could do. A couple of others that come to mind are Slideshares, and that one was just mind blowing for me with how many views are achievable in Slideshare. I tend to forget about it as a source of traffic and engagement and it just seems like every time we post something there, it does a lot better than I thought it would. So spending the time purposely investing in creating more Sideshare content was a great reminder that there’s lots of value there. And once we kind of have a template set up for those Slideshares, it doesn’t take as much time as I think it will either. So it was a really good lesson for me and a great takeaway from the month that we can kinda work Slideshare into our weekly, daily content a bit more than we have already. There’s good validation behind that and the other one is Medium. Medium worked out quite well also and our approach there was quite basic and something that I’d love to improve on moving forward. Medium makes it really easy to republish old content. They have a feature where you can just paste in an URL to a blog post and Medium will pull it all in and you’re kinda good to go from there. So it’s super, super easy and I’m very grateful that they made it so easy. And we did that with a few of our highly validated blog posts, the ones that had received lots of social shares and things. And the couple of times that we did it – we didn’t do it too often – but a few times that we did it we would receive a lot of “recommends” and engagement within the post. It would climb into the most highly recommended post of the day, which is a good signal for us also. So yeah, I think maybe the email courses, the Slideshares and the Medium updates were probably our big winners in terms of strategies that we tried throughout the month. Dan Levy: Yeah, you mentioned that even though your Slideshares and I think your Medium post got lots of fuse on those platforms, the referral traffic back to your blog was actually kind of minimal – and we have a similar experience over here, where it’s almost made the value of republishing content on those sort of sites hard to measure because of it. Do you think that referral traffic matters? Kevan Lee: Yeah, that’s a good one. I think for us it doesn’t quite matter as much as maybe it could or should. I’m always curious to kinda learn more and to grow in that direction. I think a lot of the value that we take from those places is about sentiment and helpfulness and so we are really excited about the chance to offer content in unique ways that might speak to people who are more aligned with visual media in some ways. So we have a 3000-word blog post, but for some people that’s not the way they learn best. So maybe they learn better in a really nicely formatted Medium article that is a bit shorter or maybe in a very visual type of Slideshare. And we have this idea of our North Star metrics, so to speak: be helping people, and the number of people we can help is our guiding principle. So if we have a Slideshare that gets 100,000 reviews and Medium post that gets 15,000 views and maybe none of those end up truly converting to Buffer users, or the measurement of conversion is a bit too difficult to really nail down – but I think we are okay with that. As long as we feel like people are getting value out of it – and numbers like what we saw have us think that people were finding lots of use in those. Dan Levy: Yeah. When it comes down to it, whether they’re engaging with your content on your own blog or on Medium it doesn’t really matter that much. In some ways I think that’s a vanity metric or we just have to be a little bit more open with how we measure things like views and sessions. Dan Levy: Even if it happen on our platform or not. Kevan Lee: Yeah, exactly. I think there’s that distinction where if it is on the blog, yeah, we can have some control over that page, and that experience. And on Medium or Slideshare we don’t quite have that control. So a lot of it is about, again, trusting the process — that being there is a good thing and helping people in that kind of way is a good thing — and I think a lot of time too it just expands the awareness of Buffer and awareness of our content. If we can help someone with something that we have written and that kind of their first interaction with us, that feels really great to me. And I think we have a great chance of finding more folks who are in that kind of bucket, so to speak, of not having much interaction with us before, especially in places where we haven’t spent much time, like Medium and Slideshare and the other places that we tried. So… yeah, overall the feeling that we got from it was really great even though maybe the specific conversions were a bit tough to nail down. Dan Levy: I want to go back to the email stuff for a bit, if you don’t mind. Dan Levy: Because you rank that as the number one strategy that came out of the experiment. Can you tell me a little bit about those email drip campaigns? What was your goal with those? Was it a lead generation thing or was it really about engaging and nurturing the people who had already signed up for your list? Kevan Lee: My main goal with it was we feel like we might be moving into a really neat space in terms of education and training, so to speak. And then offering resources to people to help them share to social media better. I believe the course sprung out of this desire to help and educate people. And to do it in a way that was very actionable. So what that means for us is that the course itself was a lot about offering lots of value to people in a way that we thought might be kind of cool for them. Like I think content within your inbox from me with my name on it and then video content at that and well formatted at that is just a really powerful way of connecting with someone. And that was the feedback that we received from the course so far too – that it that very personal to a lot of people, which was not something that I meant to do or intended to do, but it is an amazing side effect. It felt like a certain type of product/market fit that is quite unique and highly validated from us. So it’s been super exciting. I think my approach to it was more… I guess maybe even somewhat exploratory at the time, where it felt like the right thing to do and it felt like a good thing to try. So the way that we set it up was we invited people to just sign up ad hoc to it. So it’s not tied to any existing list of ours. Dan Levy: It wasn’t like they were signing up for the blog and then they got this email drip campaign… they were signing up for the course itself? Kevan Lee: It was just the course. Yeah and to be completely transparent and honest I don’t know how it might go from there. Like whether we will kinda loop them into the newsletter and our access list after that or if we’ll message every few times after. I think a lot of it was just about providing value, seeing if it was something people enjoyed and then kind of building from there. So maybe like a lean way of approaching it. I’m not sure, I think I probably could have thought it through a little bit more beforehand. But the nice thing is it’s a 25-day course. So I had a few days to kinda think about where to go next from here. Dan Levy: Right. And you have validated something that people actually want in the process. Kevan Lee: I think in terms of lead gen, I’m quite curious to learn more about what feels best for folks in email. In terms of getting you from a course, to signing up to Buffer, to further explain Buffer. And I don’t want it to feel like I have been gaming folks the whole time by saying yes, I signed up for this course, we are excited to share some stuff with you and then overtime it feels a lot like a pitch or a bait and switch. And I think I’m trying to be mindful of that. So I could probably get lots of tips from you on maybe what the best approach there would be, but I think that’s something we’re still a bit still curious to find out. And it was not necessarily baked into the format from the beginning. Dan Levy: And to be honest, I feel like… I don’t want to say the dirty secret… but it is a secret of marketers that sometimes we don’t do things that are completely strategic or tactical. We do things because they feel right and that we see that our audience is interested in it, and has a need for it. And then we figure out the strategy later. Like I think that is totally fine and legit and a good way of doing things as well. Kevan Lee: Yeah, it doesn’t sound very marketer-y. I guess, but it’s a definitely been something that we do a lot. Dan Levy: Isn’t the best marketing the least marketer-y – marketing? Kevan Lee: I think so yes. Dan Levy: And the marketing kinda happens along the way, I guess. Kevan Lee: Yeah. When someone ask you what you do. What do you say? Kevan Lee: I like the sound of that. That sounds pretty good. I like that. Can I borrow that if that’s okay? Dan Levy: Yes, sure. What do you usually tell people? Kevan Lee: Oh, man. It’s probably lots of different things. Sometimes I just say I do content and that’s kind of if I think people might know what means. I think sometimes I say I write stuff that helps people in the hopes that they will connect my helpful content to the service that we provide. And yes, sometimes I just mention I’m a writer and leave it at that, unless there are follow up questions. But sometimes there are, sometimes there aren’t. Dan Levy: I think it helps a lot when your product is aligned with the content that you are producing. In our case, like I said, we are creating content resources for marketers to do their job better. That’s something that we feel our product does as well. And I suspect that you guys are in a similar situation when it comes to social media, right? Kevan Lee: Yeah, exactly. And I think that dovetails nicely with the helpful educational content. It’s a social media course which makes a lot of sense given that we feel Buffer is helpful in terms of assisting folks with their social media. So yeah it all makes sense in the big picture. Dan Levy: Ah, this is like content marketers’ therapy. This is like super helpful. Kevan Lee: Yeah, tell me about it. Yeah it’s always great to chat with a fellow writer, and thank you for validating some of my thoughts and feelings. Dan Levy: So now that you’re back to publishing original posts, how do you plan to work some of these strategies into your editorial calendar? Has the experiment made you approach your content strategy differently? Kevan Lee: It has. I think we are really excited to do the things that we feel were validating during that month and what that looks like specifically is including a Slideshare in one of our four posts each week that we publish. It would be great to do all four. I think I personally failed on my account this last week to do any Slideshares – so it’s easier said than done, which I think is kinda how I fell out of the habit in the first place. We’d love to do that. We’d love to double down on our Medium efforts. So we are doing a lot there currently in terms of republishing a couple times a week and exploring further ways to engage in terms of publications or collections. I forget exactly what it is being called now. Kind of groupings to a certain category or theme. And then also maybe some short-form content, which we don’t typically do on the blog but I think might be a good option for Medium. And then the email courses are great and wonderful and like I mentioned, there is a 25-day course and when the 25 days are up, I’d love to have another one ready to go for folks who want to kinda keep learning with us. So I’m in the process of thinking about what that might be and then creating it super fast – and I’d kinda love to get on a pace where maybe we are doing a course a month and then eventually have enough to kinda roll it into more of a learning center type of hub where people can come and choose what they want to learn and keep going from there. So yeah, lots of exciting things to be trying out. Dan Levy: You know, one thing I love about your post is that among the list of strategies you tried in this experiment and that worked out really well are a bunch that you didn’t end up trying or just didn’t work very well. I love that you shared some in the post. Can you maybe talk about one of those and what you learned from them? Kevan Lee: Yeah, absolutely! It’s interesting being in the social media/content marketing space because I feel like I’ve learned a lot about best practices and things to try. And then I’m always eager to do them and figure them out and make them work. And I don’t know if maybe just this month there kind of – history has taught me that it’s not always the case that everything will work out the way that best practices go and that there are definitely individual recommendations that are quite specific to you and your audience and your industry and things. So yeah, I was really excited to kind of put those to the test again and see which ones worked. Something that we have been thinking about a lot is infographics and how those might best fit with our content. I think that might have been kind of a medium performer for us during the month and my senses are that they are super powerful and can always be amazing sources of traffic and things. And for whatever reason, it seems like maybe we’re losing a bit of momentum in terms of infographics and we have gone with a lot of different freelance folks and partners and collaborators with those in the past. And my hunch is maybe having a consistent theme or consistent style or consistent schedule of infographics could be a bit more helpful there. But it is one that we are focusing less on in the future, given the momentum of that compared to some of the other stuff that we tried. I believe the Quora was one that I was quite excited to kind of experiment with, and my takeaway from Quora is that it’s an amazing place and such a cool network. And I love the ease and intuitiveness of using it. The results for us were not quite validated in the way that I might spend some more time on it in the near future. It’s very much a user-driven network where I will be posting things from me, myself – versus hosting it from Buffer. Kevan Lee: And I think we discovered the same with LinkedIn posts where it comes from an individual versus it coming from a company. And I haven’t quite figured out how to get that working yet. So that’s one that I plan to kinda keep learning on and thinking on, but not something we might focus on for the time being. Dan Levy: I really liked the learning hub that you set up. I thought it was really cool how you set that up like a landing page. That definitely got my attention. Kevan Lee: Awesome. That was a great one. I think that was a very lean one. Also, if I remember the story right, I was thinking this could be kind of a cool thing to do and I mocked something up really fast. We have some really cool tools internally here that we can do that with. And what I did it was by no means complete. But I think I forgot to leave it as a draft so it like went out live and then it got linked to from some other pages and I was oh, I guess I should finish that. And so I just quickly finished it up and that’s kind of another maybe little dirty secret of content marketing – sometimes we don’t always mean to have things out when they do. Dan Levy: Sometimes we make mistakes and people don’t notice and it’s like all right, I guess we will just run with it. Kevan Lee: Let’s go fix it, yeah. So I went and kinda tidied it up. Like long story short, that’s one that I probably didn’t give the effort or attention that I could have and I think that in itself was encouraging in that there was some positive response. I’m excited to see what the response might be if we put a little more energy and resources towards that. So yeah, it’s super fun when I think it’s come back to like, a blog where we want to make the blog easy for people to navigate and find the stuff they want to know about. And that’s kind of one possible route where we are thinking about it at this point. Dan Levy: Well, this is the Call to Action podcast. So we like to ask our guest to leave us with a little bit of a CTA of sorts. What advice would you give to other content marketers or whatever you want to call us, who would like to shake up our content strategies but might be scared of sacrificing traffic in the process? Kevan Lee: Is it cheating to choose two calls to action? I don’t know, that’s probably bad practice to have two. Dan Levy: Not advised on a landing page but for a podcast I think we’ll let it slip. Kevan Lee: Awesome – maybe like a high-level one and then a detailed one. So, like, from the high-level, I think what was really meaningful to us was this freedom and flexibility to have an experiment and to just go out and do it. So if there is something that you are thinking of and have been wanting to try – I know this might sound a bit cliché – but there’s no time like the present to try it and just to do it. And from my experience, I think even if you are not sure what kind of results you will see from it, the big result is that you will learn something and often times that is maybe the biggest result of all, like bigger than traffic and conversions and all the other stuff that you might measure. It’s just a chance to learn from doing that. Dan Levy: We learn more from failed experiments often than we do from ones that succeed. Kevan Lee: Exactly, yeah. Was it Michael Jordan said, “You miss 100 percent of the shots you don’t take?” Or something like that? Kevan Lee: No that was Wayne Gretzky or something but. Dan Levy: Yeah, was one of those guys. Kevan Lee: One of those guys. Yeah, and we think about that a lot at Buffer in terms of just doing things. The second one would be – and I feel like it is a practical one – if you can find a piece of content that is really popular on your site and being highly validated data in terms of social shares or traffic, go ahead and spend 15 minutes and turn it into a Slideshare. And share it on Slideshare and stick it to the top of the post and just kinda see what happens. So that might be a quick win if anyone is curious in trying that out. Dan Levy: Awesome, that’s such great advice and there’s so many other super smart tactics embedded in that post. So I encourage people to check it out. But I thank you so much Kevan for taking the time to chat today. I really appreciate it. Kevan Lee: Yeah this has been so great, thanks for the invitation and the chance to share from our side. Stephanie Saretsky: That was Kevan Lee, Content Crafter at Buffer. To read more details about Buffer’s publishing experiment, visit the show notes at unbounce.com/podcast. Have you tried any wild experiments recently that you think we should know about? If so, email us at podcast@unbounce.com, we’d love to hear about what you’re testing.